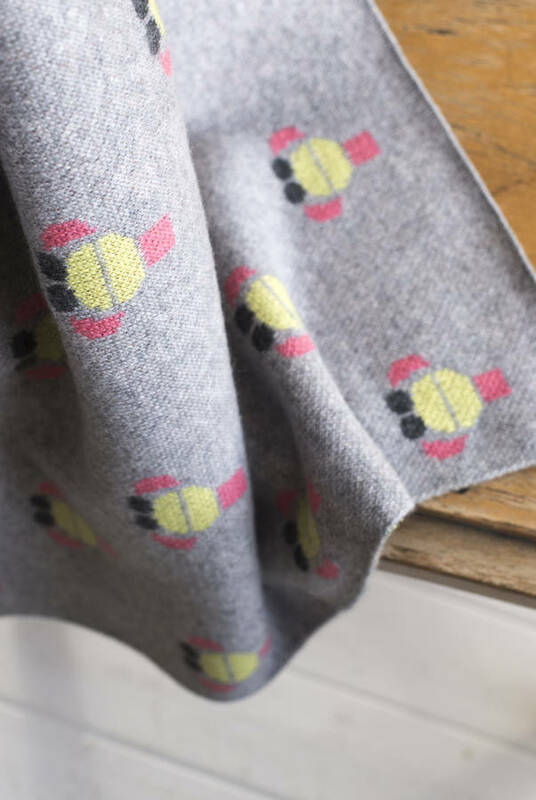 A 100% cashmere children's blanket, made in Scotland. 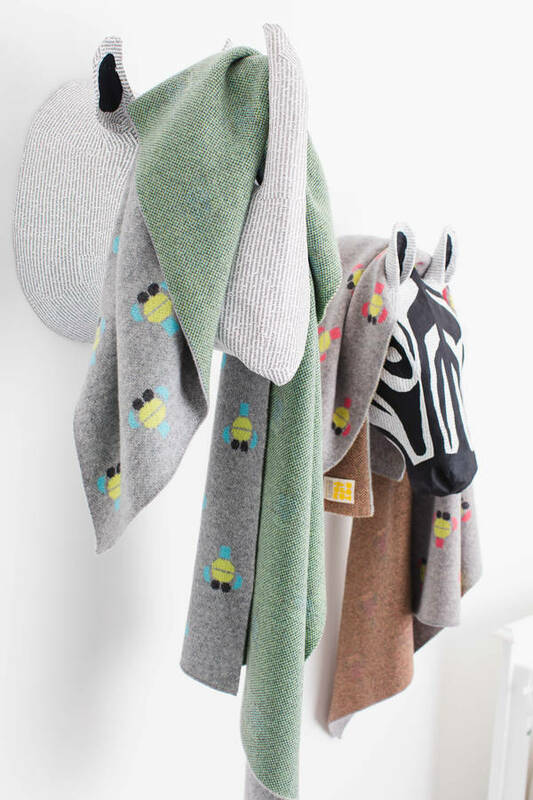 Let little imaginations run free with a soft cashmere blanket designed to become a child’s favourite companion, superhero cape, magic carpet, hideout or just a soothing space to curl up in. With our signature Dot & Tom monkey characters, this huggably-soft 100% cashmere children’s blanket will be an instant favourite. Playful, full of personality and perfect as a tender gift to treasure. Dot & Tom Icon blankets are made in Scotland from the finest cashmere, and arrive beautifully packaged in a Dot & Tom organic fair-trade canvas bag. Keep your blanket as soft as the day you bought it with our care guide. We recommend dry-cleaning to keep your blanket fresh and soft, but they can also be hand washed and so to do this properly, please follow our step-by-step instructions. Fill a spotlessly clean sink or basin with lukewarm water. Treat any stains or problem areas with a little neat cashmere shampoo, massaging gently with your fingertips. Gently press out water and place blanket on the first towel. Roll up the towel with the blanket inside, and squeeze out excess water by gently pressing down with your palms. Unroll the towel and place blanket flat on the second towel, Leave to air dry flat, or smooth the blanket out flat on a drying rack to avoid any wrinkles. When dry, the blanket can be pressed with a cool iron. To store, fold in tissue paper to absorb any excess moisture and leave it silky soft and ready to be used. Never hang delicate cashmere. To store, fold in tissue paper to absorb any excess moisture and leave it silky soft and ready to be used. Keep folded cashmere close to mothballs or our organic alternative, a freshly picked sprig of rosemary. Pilling is not a sign of poor quality. Pilling is a natural characteristic of cashmere’s long fibres, and can be easily removed by gently stroking with a cashmere comb to return your cashmere to its natural beauty. This product is dispatched to you by Dot & Tom. Should you choose to return or exchange your order you will need to deliver the item(s) to Noths::Country, where this seller is based.